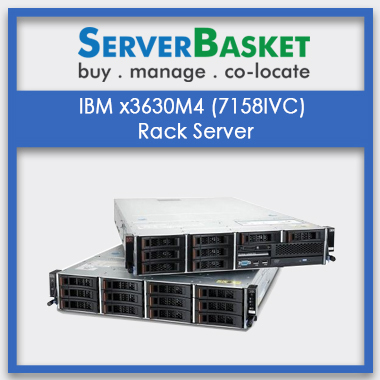 IBM System X3650 M5 Rack Server buy at Low Price, Instant Delivery, Low Price Guarantee, Buy Online, Great Discounts, 3 Years Seller Warranty, Debit card. 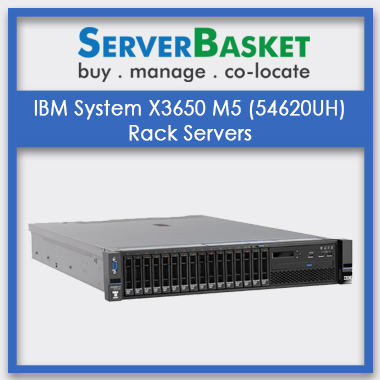 IBM System X3650 M5 Rack Server 2U socket System is efficient to handle more workloads,24 x 7, and gain efficient solutions available at a very cheap cost. IBM System X3650 Rack Server is optimized for big data, analytics and cloud at a budget price. 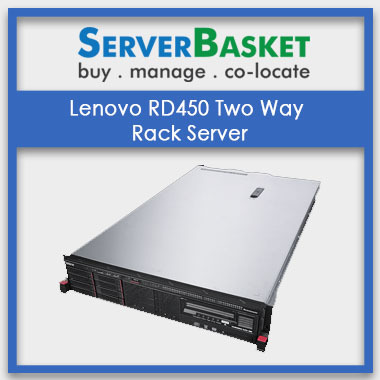 The versatile yet powerful rack server has the capacity to run more workloads for faster business operations. 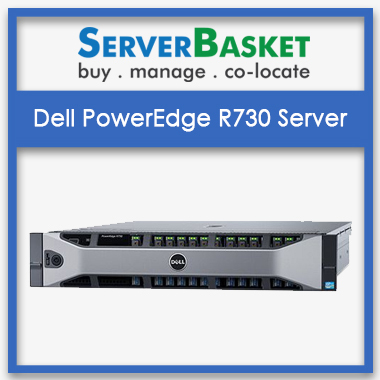 Featuring 2U two sockets for enhanced storage capacity, the server encompasses two Intel Xeon E5 – 2600 v3 processor series for improved performance. The IBM System x3650 rack server features 26 drive bays, an industry standard AES NI, System x Trusted Platform Assurance, 2 Intel Xeon E5-2600 v3 processors, 24 SSD HDDs, 12 Gbps RAID support, 8 PCI expansion slots, 84 TB internal storage capacity, energy-efficient power supplies, Active Energy Systems Director and the Security Key Lifecycle Manager specifications, among others. The flexible storage allows for optimized workload performance; the server features 26 2.5″, 14 3.5″ and 2 2.5 ” SSD hard disk drives. The large storage capacity of up to 84TB, 18-core processors, QPI interconnect links of 9.6GT/s and L3 cache of 45 MB enable it to support great performance and support for big data analytics and cloud. IBM System x3650 M5 has 26 drive bay configurations for storage enhances a range of complex cloud and big data workloads. The two Trusted Platform Modules, System x Trusted Platform Assurance, the AES NI based on approved standards in the industry, the Intel Executive Disbale Bit and the Intel Trusted Executed Technology features provide enhanced security and reliability of the system’s hardware, software and workloads. The extra processor and 2U two sockets featured in the server allows for expandability and growth. It also comes with 8 PCIe expansion slot specifications inclusive of a 3.0 slot for internal storage to support a maximum of two 300 W GPUs. Up to 12 Gbps RAID support, 24 SSD hard disk drives, leading-edge, scalable yet flexible 84TB of internal storage, the 4 Gigabit Ethernet and the 10 optional Gigabit ports featured in the server also allows for future growth. The IBM System x3650 M5 rack server is designed to consume less energy. The energy-efficient planar elements, 80 PLUS Titanium and Platinum certified power supplies that are highly efficient, the Intel Intelligent Power Capability, SSDs, and low-voltage Intel Xeon processors as well as memory DIMMs specifications are designed to consume less energy, and thus reducing costs. The hexagonal ventilation holes and the IBM’s Systems Director Active Energy Manager also play a role in reducing the amount of energy consumed by the server. IBM’s Security Key Lifecycle Manager specification offers simple yet centralized management of the server, while the self-encrypting drives for optional use leverage enterprise-class protection of data. As a System X Assured hardware, the server guarantees data protection. 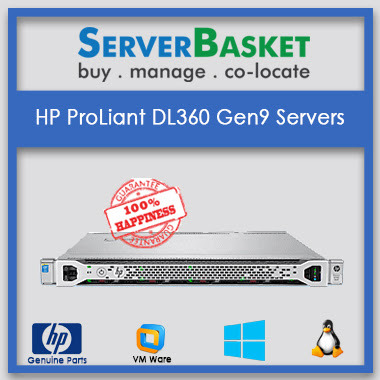 Looking for the best possible deal on servers? No problem. We always offer you with the lowest price on the market. We guarantee you the lowest price and you will enjoy the excellent services such as immediate delivery and best seller warranty we offer. 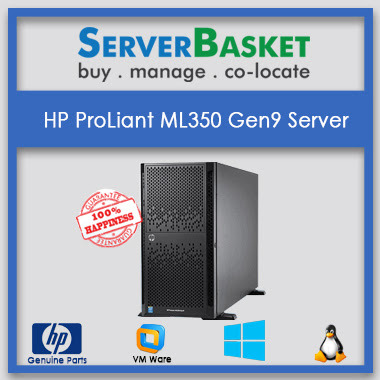 If you buy the server from here, you will get immediate delivery offer i.e., for the local clients i.e., Hyderabad clients we provide with same day delivery and for other locations such as Pune, Chennai, Bangalore..etc we deliver the server in a maximum of 3 to 4 working days without fail. 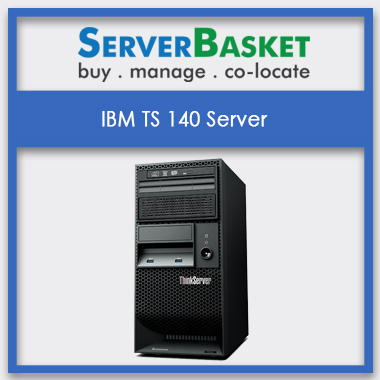 The M5 IBM server is designed innovatively to save energy. It comes with various specifications like the 2 redundant fan zones that can operate in high temperatures of up to 40 degrees Celsius, hot-swap power supplies, fans and SSD disks to ensure that less energy is used up. The optional Predictive Failure Analysis is a light path panel that featuring status indicators and error codes for diagnostics. The efficient power supplies are also handy in saving energy. I am the old customer to server basket they provided me the best raid controller configuration along with the server thanks you server basket. I acquired IBM x3650 M5 server from server basket. It supports dual processors. The speed of the processor is also good which supports according to my requirements. What type of model is IBM x3650 M5 server? Does IBM x3650 M5 (54620UH) server supports Processor? Then which type of processor is required? Can I upgrade Memory options to IBM M5 x3650 server? How many hard drives can be installed on x3650 IBM server? Does IBM M5 x3650 (54620UF) server supports multiple operating system? Yes IBM M5 x3650 support multiple operating systems they are Microsoft Windows Server, Red Hat Enterprise Linux, SUSE Linux Enterprise Server, VMware vSphere – (Optional USB Key or SD Media Adapter). What type of server is this? IBM x3650 m5 is a 2U Rack server. Which RAID configuration level is recommended for IBM (54620UF) x3650 M5 server? How much power does x3650 (54620UF) server consumes? Power consumed by the IBM x3650 are 1/2 redundant 550W AC, 750W AC, 900W AC, 1500W AC, 900W DC 80 PLUS® Platinum, or 750W, 1300W AC 80 PLUS Titanium. You can contact 24/7 via call, chat, mail process for further queries, our technical team will guide you at any time.